We have over 25 years’ experience supporting non-native speakers of English and have developed a range of workshops to enhance their skills in the workplace. Presentation Skills – a half-day session aimed at improving confidence and developing specific language areas for the delegate(s). This can often include areas such as: development of pronunciation; slowing down speech; and using appropriate terminology. Dealing with Small Talk – several cultures just don’t use small talk the way we do and it can cause barriers to getting on in the workplace. This half day session explores: why we use small talk, how to use it and some of the weird and wonderful phrases that we use to express ourselves. Confidence Building for Spouses – when families relocate to the UK for work, there is often a spouse who finds that they are in an unfamiliar environment with no support network to turn to. 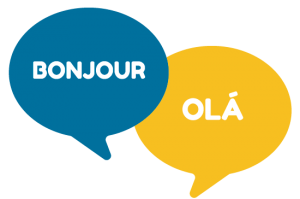 Not only can we provide support with overcoming language barriers but we also provide practical advice for such things as: understanding the UK school system, how doctor’s appointments work and how to prepare for the world of work. Not sure if your employees have a language need? Let us have your number and we’ll drop you a line. Let’s talk.